Family units sleep up to 5 with a super king bed downstairs that can be split and a double and single upstairs. Studio units sleep 2 with a super king that can be split. 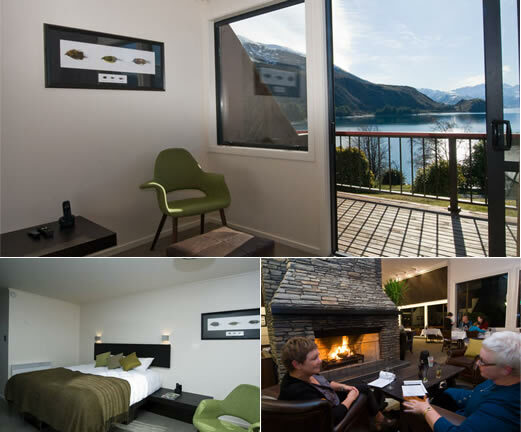 To ensure a great relaxing stay we have focused on sumptuous beds and a great bath and shower, all with their own balcony to enjoy one of New Zealand's finest views over Lake Hawea. Budget accommodation is also available in our lodge of 40 beds. 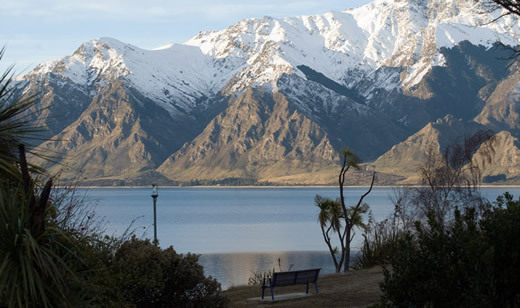 We offer a free delivery service for up to 10 persons to the Lookout Lodge, with a $50 pick up fee.